The facets are the small, bony joints that connect the spine’s vertebrae. Each vertebral segment has two facet joints, one on each side. 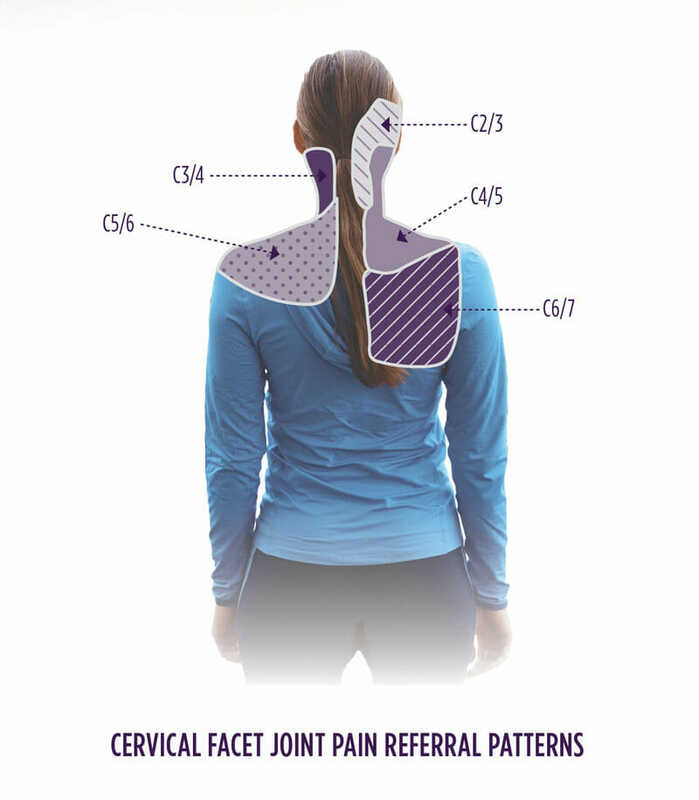 The cervical facet joints guide motion in the neck, and the thoracic facet joints guide motion in the mid-back. These joints provide stability and control but also allow for motion in the spine, so that you can bend and twist. Just as a joint in your finger, knee, or hip can cause you discomfort, so can the facet joints in your neck and back. They can become arthritic or injured, causing pain. You will lie face down, with two pillows underneath your chest and a small pillow underneath your forehead. The skin over the back of the neck (for cervical) or mid-back (for thoracic) will be cleaned and numbed before the injection.